The minutes of the group meeting in March 2019 are available thanks to group member Lesley for compiling them. A full meeting with several events planned, see the end of them for the list. You can also follow us on Facebook, Twitter and Tumblr. The minutes of the July meeting are available here thanks to group member Lesley for preparing them. 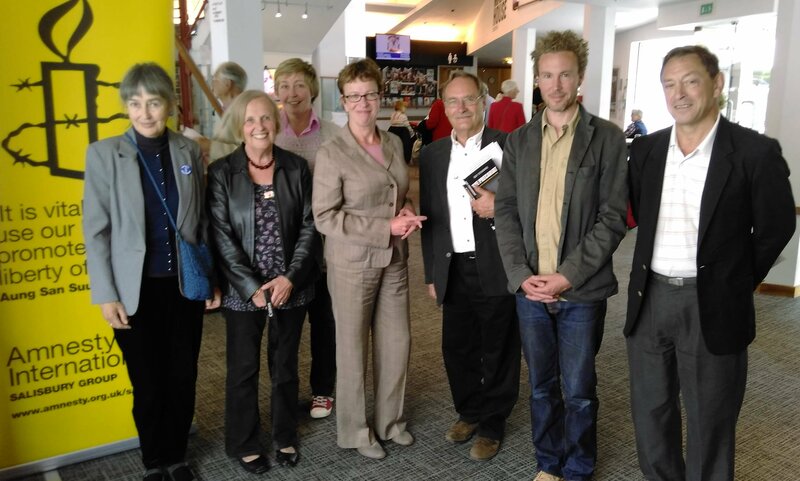 A full meeting in which we discussed the death penalty report; the results of the stall; the film at the Arts Centre; social media statistics; the meeting at the Cathedral and the BBQ in August. We also discussed the letter sent to John Glen about the Maldives (reply awaited). Last week, fresh from attending the Citizenship Conference at South Wilts, group members took the Amnesty presentation on the road to a new venue to us, St. Mary’s Girls School at Shaftesbury, as part of their series of talks by local and national organisations. Despite an attendance of some 90 sixth-formers, it was possible to encourage interactivity, and the students proved very knowledgeable and interested in our work, and showed an encouraging level of social awareness. Nearly all signed greetings cards for prisoners, and some stayed to continue conversations with us about Amnesty after the event. Thanks are due to the school for an event we hope we can repeat in the future. If any secondary school in the South Wiltshire area would like the team to do a presentation on the work of Amnesty and human rights, please get in touch via this site. The November minutes of the Salisbury group are now available thanks to Lesley. Last week, three members of the Salisbury group visited South Wilts Grammar School for their day long Citizenship Conference held every year jointly with Bishop Wordsworth’s School. We had the opportunity to present Amnesty to three groups of students, amounting to about 50 in all, who had chosen to hear from us, along with a number of other organisations from political parties to charities. The impression we received was of a lot of interest in our work, and we emphasised the importance of the concept of human rights, and asked the students to think about how these might impinge on their own lives as well as on the prisoners whose causes we espouse. The short AI film ‘The Power of a Signature’ as always received a positive reaction as did the invitation to sign the Stop Torture petition cards. We hope the students enjoyed the occasion as much as we did. 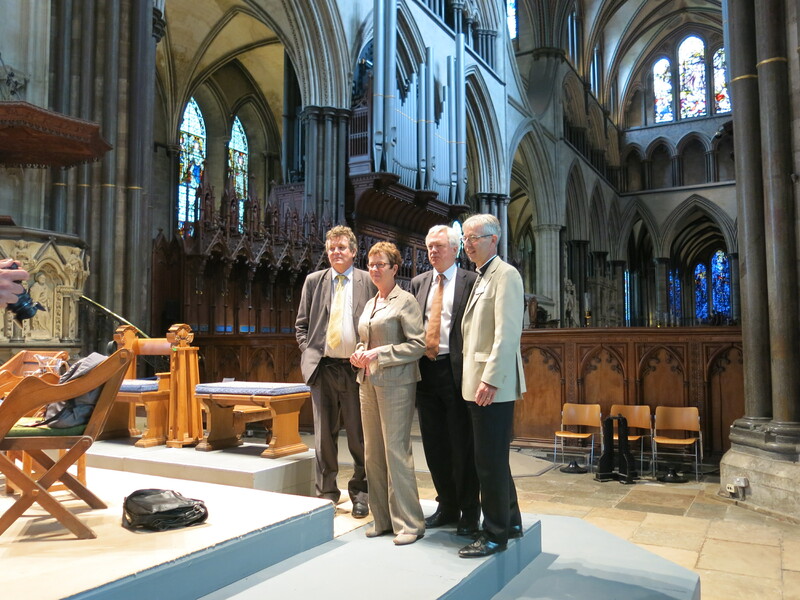 Kate Allen, Director of Amnesty International with David Davis MP, Peter Oborne the journalist, and Ed Probert of the Cathedral posing for a photo during the sixth form conference which took place at the Cathedral on 15 June. Attendance was good with several hundred 6th formers from the local schools who listened to the speakers and then asked questions. Kate also took part in another event in the Playhouse in which she was joined by Prof Guy Standing, author of The Precariat and A Precariat Charter and Ben Rawlence writer and researcher and author of Radio Congo. Ben used to be a country representative with Human Rights Watch. The event was called Magna Carta Now and was looking at the relevance of the Magna Carta in today’s world especially as it was the 800th anniversary of its sealing. Edward Fox the actor read out sections of the charter and the panel debated their significance and relevance today. Local member, Peter Curbishley was in the chair. Around 140 people attended. The new South Wilts University Technical College in Salisbury is to be part-funded by arms companies and a number of people are concerned that young people will be corrupted by such firms. The Salisbury group has campaigned in the past on the issue of arms as Salisbury is surprisingly rich in arms companies. It is likely that because we are near to Salisbury Plain – where a number of regiments are based – and the garrison towns of Bulford and Tidworth, it is attractive to such firms to set up here. We are also near Porton Down and to Boscombe Down. Some years ago, we discovered that a firm based in Salisbury was supplying the Indonesians with armoured land rovers being used in the oppression of the East Timorese. Chemring, which has a factory at a place called High Post near Salisbury, was also the subject of press interest recently for allegedly supplying CS gas to the Hong Kong police to help suppress demonstrations, and to Israel. Chemring supplied CS gas which was used in Egypt. So the activities of arms companies are a matter of interest to us. It has to be said straight away that, unless you are a complete pacifist, there are aspects of the arms trade which are perfectly legitimate. We need to defend ourselves and therefore have a need to make armaments. We can also sell such arms to countries we trust or to whom we are allied. The difficulty is when arms are supplied to regimes who have little interest in human rights. 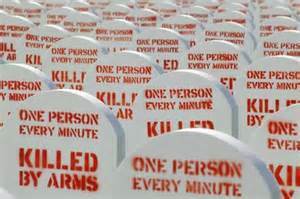 This is why Amnesty among others has been promoting an arms trade treaty. Another problem is the shadowy world of dealers and brokers who go on to supply anyone willing to pay. Anyone interested in the arms trade, then a book to read is The Shadow World: inside the global arms trade by Andrew Feinstein (Hamish Hamilton, 2011). This remorselessly describes the trade and the high degree of corruption involved in its activities. The industry is over £1tn in size and money flows via tax havens and brokers around the world. Look at almost any news broadcast and it doesn’t matter who is fighting whom, what is noticeable is that they all seem to be remarkably well armed. The various belligerents drive around in military vehicles, and they seem to be guns and rocket launchers aplenty. These arms don’t appear out of nowhere, they are supplied by the shadowy world of the arms dealer and are financed via various tax havens, many of which are Crown dependencies. In our twenty-first-century world the lethal combination of technological advances, terrorism, global crime, state sponsored violence and socio-economic inequality has raised instability and insecurity to alarming levels. At the same time, the engine that has driven this escalation, the global arms trade, grows ever more sophisticated, complex and toxic in its effects. It might therefore be thought essential that the world’s democratic nations should address this trade effectively and urgently. If it must exist, then surely it should be coherently regulated, legitimately financed, effectively policed and transparent in its workings, and meet people’s need for safety and security? 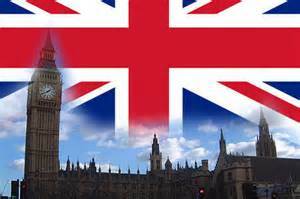 Arms sales are promoted by the British government by the Defence Export Services Organisation (DESO). There has been a lot of publicity recently as various ministers – including the Prime Minister – visiting the Gulf states to sign arms deals. Some of these countries arrest or harass oppositions, use torture regularly, execute people in public, mistreat their women and have corrupt judicial systems. No matter it seems, there’s trade to be had. The Campaign Against the Arms Trade CAAT held a meeting in Salisbury recently to publicise the financing of this college by four arms firms. The firms involved include Chemring, QinetiQ, Esterline and Dstl. Serco is also involved which has a dubious record. Some of the questions to ask of this college are: will their young people be free to discuss the activities of this trade? If it transpires that munitions supplied by one of these firms are used to suppress demonstrations or are used to kill unarmed people for example, will students be free to debate this? Will the effects and practices of the arms trade be a topic of discussion in Citizenship activities? Interesting questions … CAAT allege that the firms will use the college as a means to promote their image. It will be interesting to see how this UTC deals with the ethical and moral issues of the arms trade and adopts an appropriately impartial position when and if allegations of wrongdoing emerge. The college is part of the Baker Dearing Educational Trust and none of its trustees has any local links. Article in Salisbury Journal. CAAT item discussing the college is here. Jonathan, Fiona and Andrew went to Bishop Wordsworth’s school last month for the annual #Citizenship Day, an event for Year 12 students from the Bishops Wordsworth School and South Wilts Grammar. More than 50 students opted to attend our sessions – about the same number as last year – choosing over other charities, pressure groups and political parties. Three sessions were held and following an introduction by Andrew, Jonathan got them to work thinking about human rights in general and Fiona finished with a “what you can do” chat. To judge from talking to other presenters, ours was probably one of the more interactive sessions, and the students seemed to respond well, overcoming a natural reticence. Groups had interesting thoughts about what rights consisted of, and one group even came up with a definition, although knowledge of Magna Carta was surprisingly spotty. We hope some will take up the essay challenge and a good number of forms were taken away. Feedback has been positive, and we are hopeful of encouraging the students to take up Amnesty causes for themselves. Should the Human Rights Act be abolished? Closing date is 30 November. There are three money prizes: £60; £30 and £15. We look forward to receiving the essays. Market stall. This took just over a £100 and is well below the results of previous years. The usual crowd of people waiting for us to open and almost climbing into our cars, was absent this year. The main reason was lack of stock. North Korea. Karen said there were plans to invite a speaker and October 9th or November 13th were likely dates. Conference. The planned conference in September was not gaining a head of steam Peter reported. The City Council had given their funds to the Cathedral and were unable to help in other ways such as free use of the Guildhall. Magna Carta #magnacarta. Peter had held a meeting with Seif el Rashidi and this had been very positive. They were keen for our involvement and various ideas were discussed. A group was set up to take these forward. Once we have a draft plan then we can approach AIUK for help and assistance. The Cathedral is willing to help with graphics and has offered us a stall. The involvement of Kate Allen and the discussion between her and Rob Key who is the chair of the Cathedral group was discussed. Caroline, the regional rep. said that it had been a brief conversation only and that Kate Allen was delighted that the Salisbury group were involved and that they were best placed to take things forward. Strategic issues. There was a long discussion on strategic issues with Caroline and group members voiced various concerns about lack of response from AI. Lack of materials was an issue; finding out what was available was difficult; and lack of response another problem. Caroline responded by saying that the restructuring had had major effects with many staff leaving or being made redundant. It had also consumed a lot of senior management time. She will raise these issues nationally and she said they were similar to concerns raised by other groups. Southern region news can be found here. Web site. 217 views of the site since launch. Most from the UK as expected with 12 from USA and 11, Brazil. People from 19 countries were now shown as viewing it. There 18 blog followers; 8 twitter followers and 3 from Facebook. Stop Torture. A possible date for a stall on 15 November was discussed. Citizenship. This to be taken forward with Bishop Wordsworth. The competition will be repeated this year with more schools involved. Minutes will be posted soon.